Halloween lovers, the holidays are coming early this year. Monday kicked off Freeform's 31 Nights of Halloween, a monthlong celebration of all things spooky. The annual event was previously called 13 Nights of Halloween, but this year it was expanded. 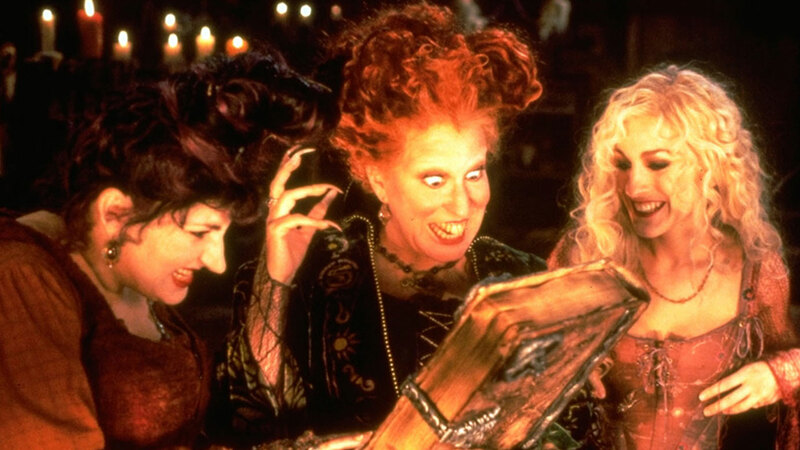 Fan favorite Hocus Pocus will play more than two dozen times throughout the month and will get a 25th anniversary special, with both the movie and the special running in a marathon on Halloween day. Also on tap is a 25th anniversary showing of Nightmare Before Christmas, as well as the Freeform premieres of Sweeney Todd: The Demon Barber of Fleet Street and a special called Decorating Disney: Halloween Magic. See more highlights from Freeform's Facebook page followed by the full schedule below. Freeform premieres are bolded. 11:25pm/10:25c DisneyPixar's Toy Story of TERROR! 2pm/1c DisneyPixar's Toy Story of TERROR! 8:25pm/7:25c DisneyPixar's Toy Story of TERROR!